Mr. Lubrano recently premiered Dan Forrest&#39;s Jubilate Deo at Carnegie Hall, under the direction of Henry Leck. 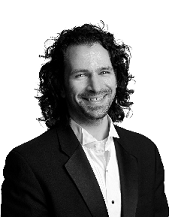 He has coached Broadway performers, soloists of the Metropolitan Opera, and has prepared and performed with various ensembles at Carnegie Hall, Lincoln Center, and the New Jersey Performing Arts Center. He has performed in the UNICEF/Steinway “Peace Piano” World Tour Showcase, the Colorado College Summer Chamber Music Festival, and Lied Austria International. Mr. Lubrano performed at the 69th Annual Midwest Clinic with the Eastern Wind Symphony, and the 2016 ACDA Eastern Division Conference with the New Jersey Youth Chorus. He has also served as Music Director/Accompanist for nearly 150 musical theater productions. Conrad Erdt has worked as a professional keyboard musician since age seventeen. He serves as the Music and Creative Arts Coordinator for the United Methodist Churches of Navesink and Atlantic Highlands, directing the adult and children's choirs, playing the organ and keyboard, and singing. He has performed in ensembles featuring internationally renowned musicians, and with other performing artists in New York City, the tri-state area, Mid-Atlantic, and out to New Mexico and Missouri. He earned a B.A. in Music from Rutgers College, New Brunswick and also holds a Music Education Certificate from Kean University. He studied music with many excellent musicians, including National Endowment for the Arts Jazz Master/Juilliard faculty, Kenny Barron. Conrad taught High School guitar, chorus, general music, and band classes and also worked in the music business for the American Society of Composers, Authors, and Publishers. Past memberships include the National Association for Music Education, the National Academy of Popular Music, and the American Guild of Organists.